That’s right! 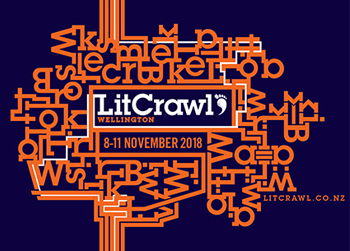 It’s LitCrawl time again and that means it’s time to get excited because this year is going to be on a whole different level! 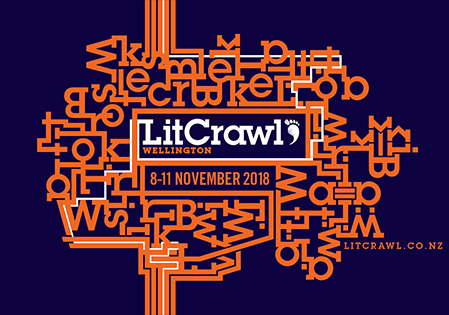 With the addition of LitCrawl Extended and events running across the whole weekend, starting on Friday 10th November all the way through to Sunday the 12th, it’s time to come into the library, grab your programme and start planning your crawl. 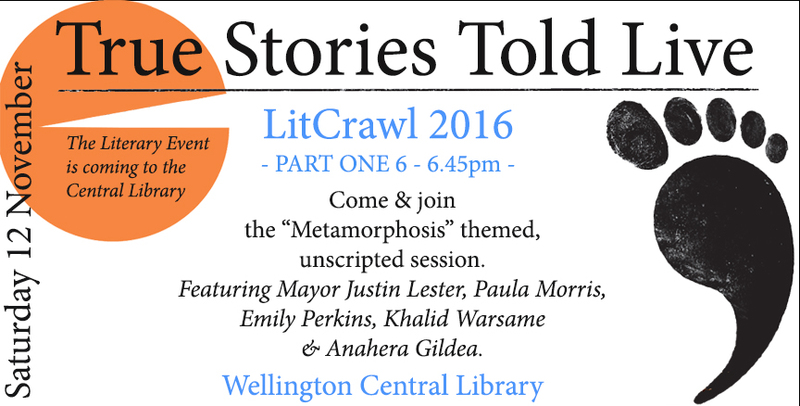 We will be hosting True Stories Told Live as part of LitCrawl Phase 1, starting at 6pm at the Central Library on Saturday November 11th. This years theme is ‘Quiet Revolutions’. Totally unscripted, no power points or cue cards, just storytelling in its rawest form! Featuring Makerita Urale, Witi Ihimaera, Hēmi Kelly, Renèe, Lucy Revill, Rajorshi Chakraborti and Eamonn Marra it’s going to be an unmissable event! 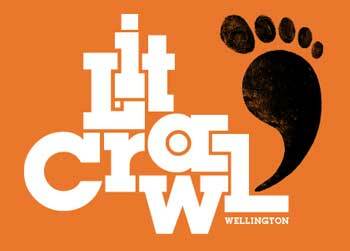 To help everyone get excited and pumped for their crawl, we’ve asked our librarians to share their recommendations. Just like True Stories Told Live, we just asked for everyone’s picks, no theme, no time, no parameters just Librarian’s choices, straight from the heart! Linda’s Pick: Tess / Kirsten McDougall. Jamie’s Pick: Crisis four : a Nick Stone thriller / Andy McNab. Frith’s Pick: Iceland / Dominic Hoey. Tim’s Pick: Leave before you go / Emily Perkins. No New Zealand novel better captures the sad ambience of finding yourself a little older than you feel ready for and also you’ve just locked yourself out of your flat again. In a good way. Reece’s Pick: The crossing / by Cormac McCarthy. Jess’ Pick: Daughter of the forest / Juliet Marillier. Zuhara’s Pick: Gone with the wind / by Margaret Mitchell. Paul’s Pick: The unthinkable thoughts of Jacob Green : a novel / by Joshua Braff. Beth’s Pick: The English patient / Michael Ondaatje. Ligia’s Pick: The book of disquiet / Fernando Pessoa ; edited by Jerónimo Pizarro; translated from the Portuguese by Margaret Jull Costa. Sela’s Pick: The bronze horseman / Paullina Simons.